We had a taste of this salad at a friend's house. Refreshing and crunchy, it was the perfect companion to anything fried. We were intrigued by it, and asked how it was made. 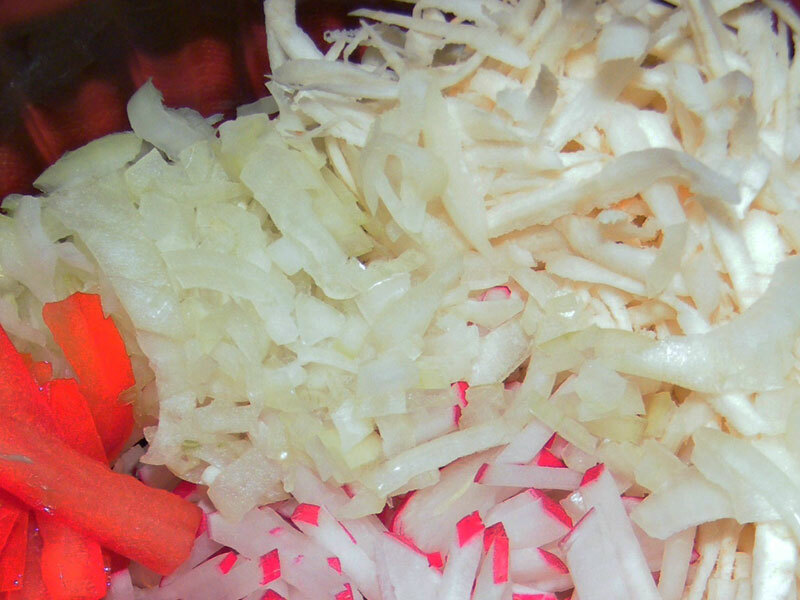 It turned out to be quite an easy recipe; it's the chopping that takes up most of the preparation time. Indeed, they meticulously chopped up the parsnip into matchsticks. 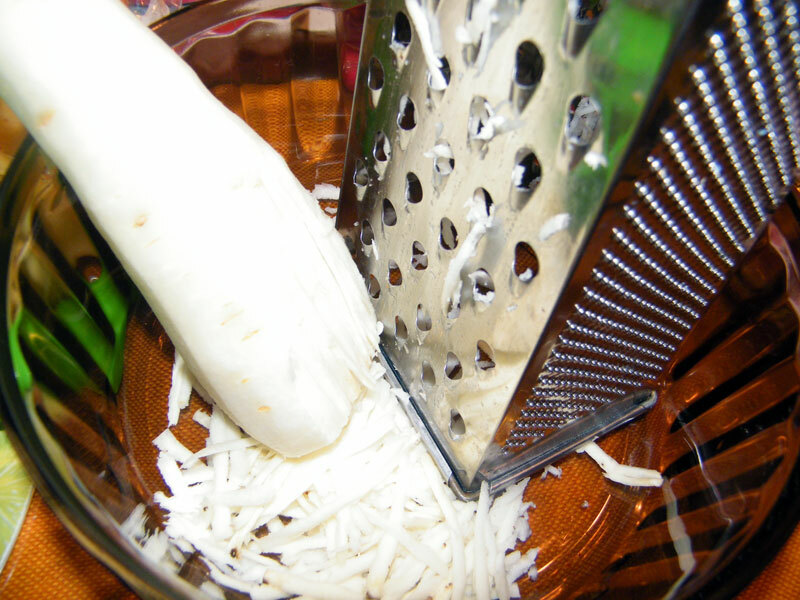 I am not that patient, unfortunately, so I resorted to grating. As a variation to this dish, we also mixed in a couple of radish. This recipe is influenced by the Northern region of the Philippines where shrimp paste is used to flavour vegetable dishes. Peel off the skin of the parsnip and grate. 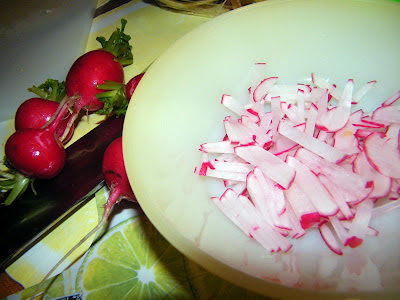 Thinly slice the radish. This is usually served as thin discs but in the interest of uniformity I chopped these into strips. Chop the onion into small pieces. De-seed the tomates and chop also into small pieces. 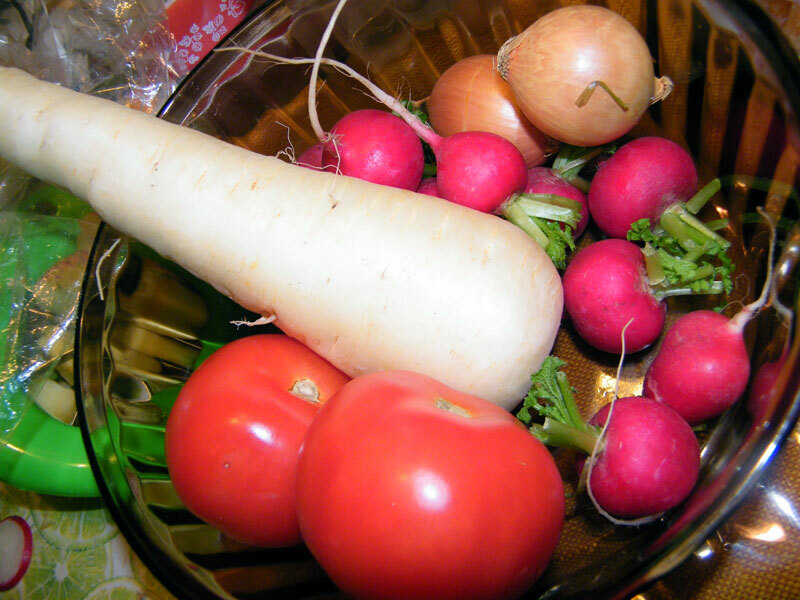 Here are the ingredients prior to mixing. 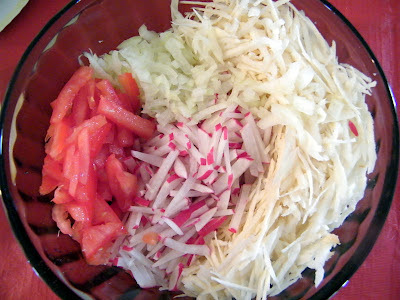 Mix everything and serve with shrimp paste on the side. In our friend's house the shrimp paste was mixed into the salad, but in our version, we decided to let the guests add to their liking.